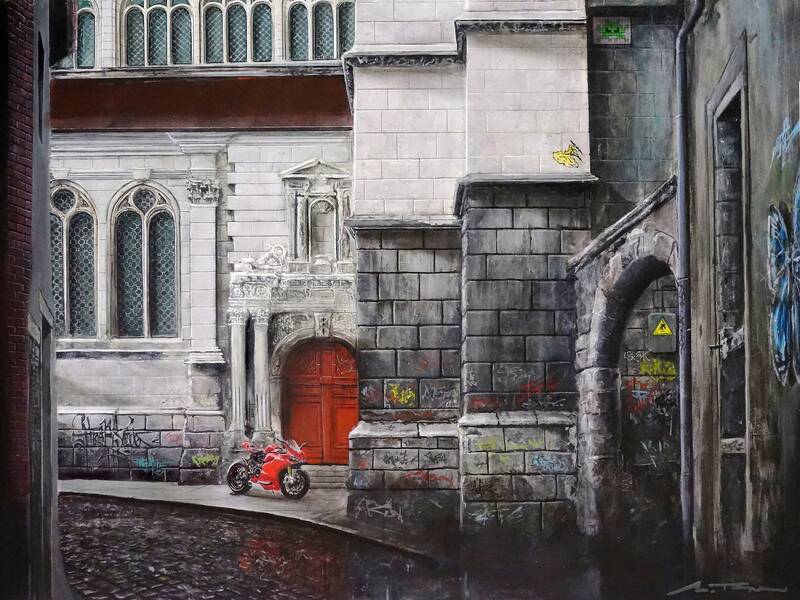 This painting is an homage to my (and my Ducati's) adventures in Europe and a tribute to France's street artists (Invader, OaKoAk, Blek le Rat, Mantra). Inquire if interested in the 18x24" Acrylic-on-Panel original. Each hand-signed Giclee canvas print is individually produced by the artist utilizing professional imaging technologies and methods. As a result of meticulous standards, the Giclee retains a beautiful painterly quality that preserves minute and subtle tints, blends and detail of the artist's original painting. 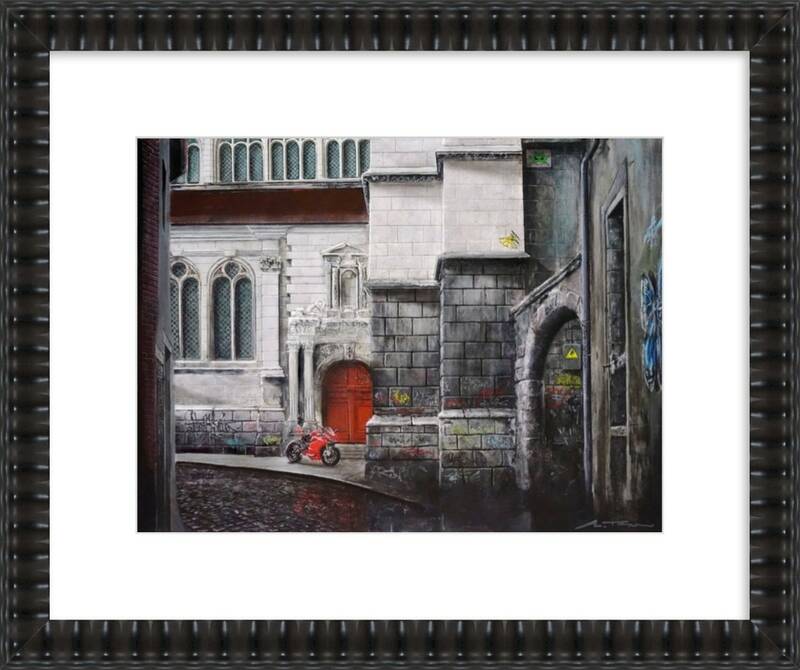 The meticulous reproduction process and the use of archival pigments and museum-quality canvas produce a stunning piece that could easily be mistaken for an original. 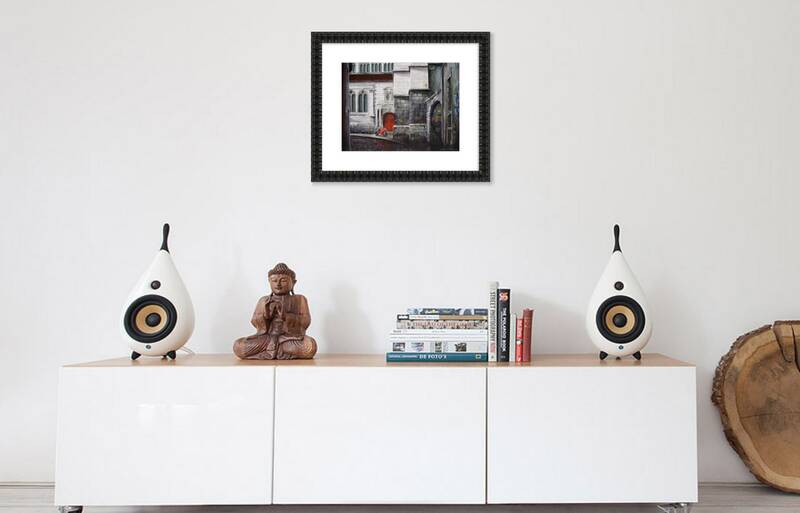 Canvas prints ship rolled and can be mounted, stretched or framed upon arrival. Lustre prints are printed on Kodak Endura Professional paper. Frame is shown for reference only.